2 year training currency requirement. Good eats and lots of planes. 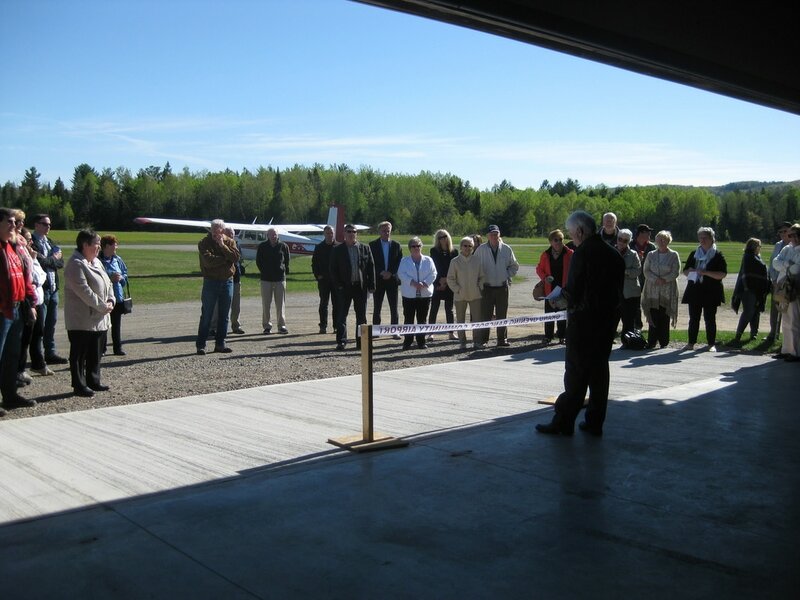 The Grand Re-Opening of the newly renovated terminal building and main hangar at the Bancroft Community Airport was held at 9:00 AM on Saturday, May 20, 2017 with over forty (40) dignitaries, members and friends in attendance. The terminal building and the main hangar were the original buildings constructed in 1963 when the airport was developed. 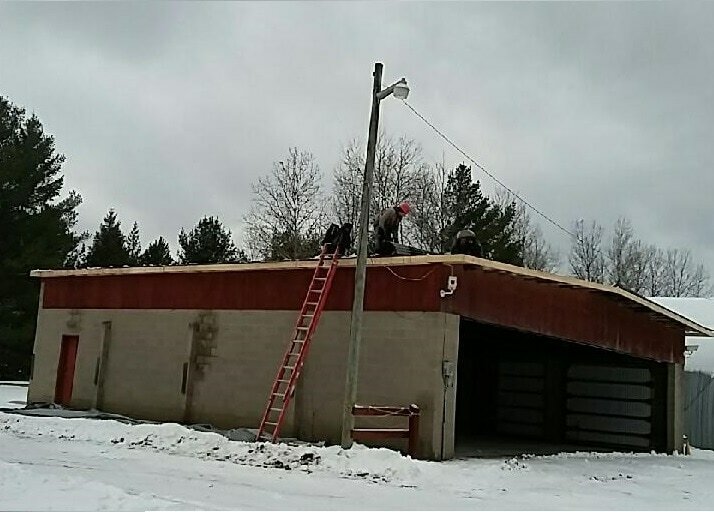 Thanks to a Canada 150 Grant from the federal government, we had the incentive we needed to carry out much needed renovations to both buildings. 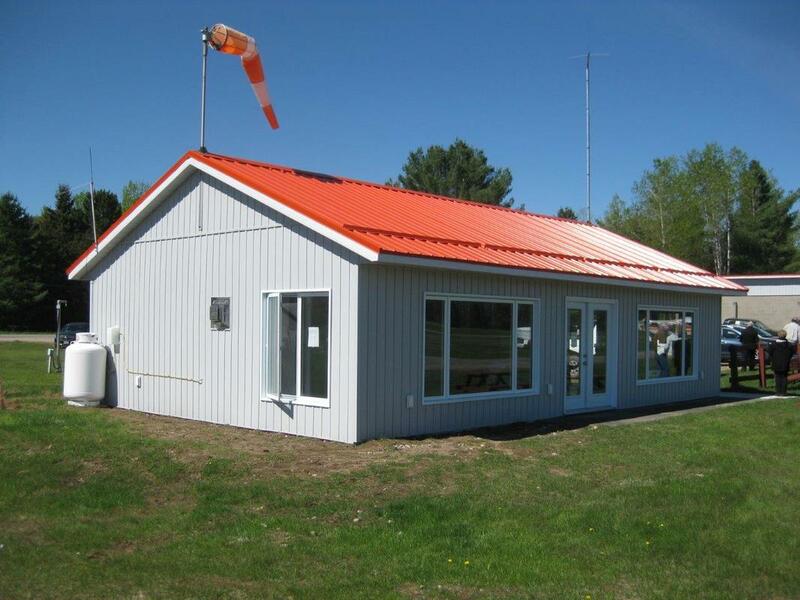 Hangar renovations included a new steel roof in bright orange that can be seen from the air for miles, sandblasted and painted steel trusses, a new concrete floor, new windows and door, and a utility room. Terminal Building renovations involved gutting the entire building and putting up new insulated siding, new windows and doors, new insulation and drywall, a vaulted ceiling, new kitchen cabinets, a new primary source of heat from a gas fireplace, all new energy efficient lighting, a new steel roof in bright orange to match the hangar for high visibility from the air, handicap accessible washrooms, replacement of the original septic system and painted the floor. President Lynn Davis addressing the attendees. He thanked the founding members of the airport for their vision. He also thanked the contractors, suppliers and several of his Directors for making this project happen. President Davis introduced representatives from four (4) levels of government who each spoke to the audience. Kim Bishop addressed the audience on behalf of MPP Todd Smith who sent his regards and expressed support for future development of our airport. Cheryl Marek, Southern Ontario Director of COPA addressed the audience on behalf of COPA and thanked the Bancroft Community Airport for its progressive approach to keeping aviation accessible to the community. Looking on is Lynn Davis, President and MP Mike Bossio. The Ribbon Cutting. 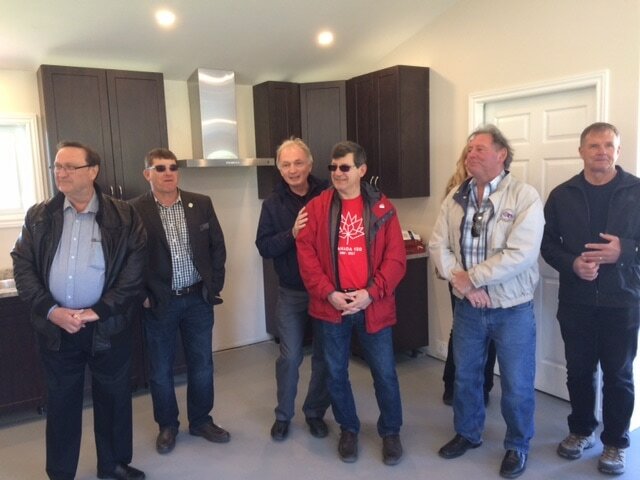 From left to right: Kim Dunford, Director; Pat Murdock, VP and Airport Manager; Monty Jewell, Founding Member; Carl Bierworth, Founding Member; MP Mike Bossio; Lynn Davis, President; Gary Gaudreau, Director and Secretary. 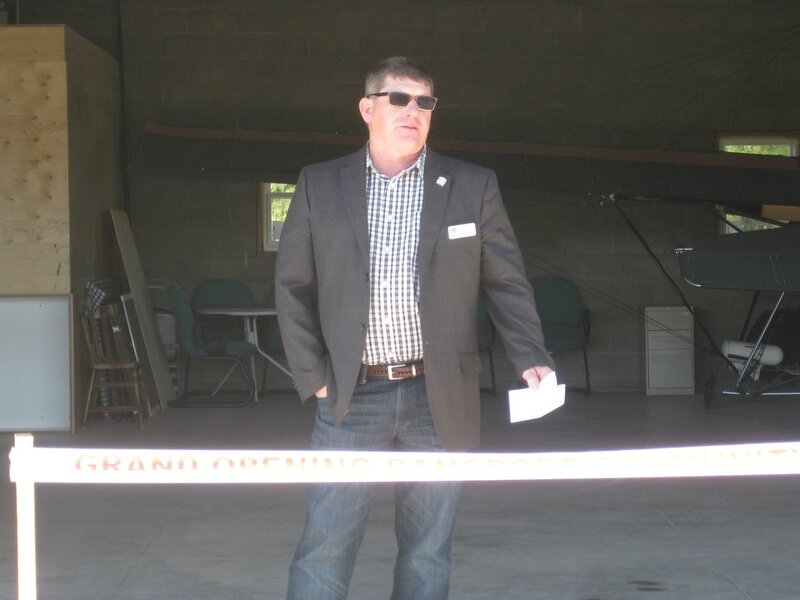 Hastings County Warden Rodney Cooney addressed the audience and spoke of the importance this airport represents to the people of Hastings County. Another photo op in the terminal building. 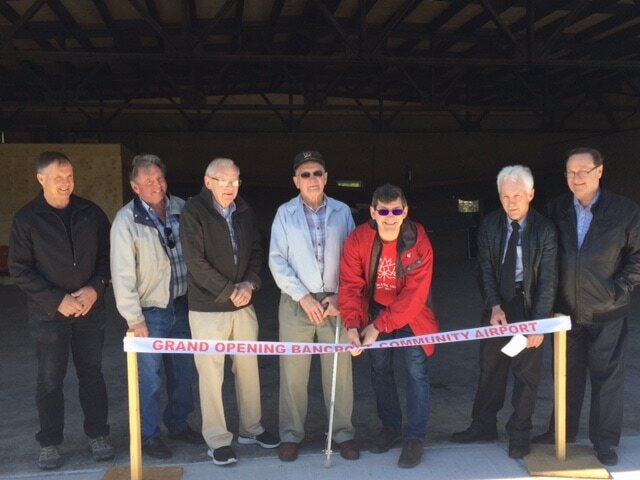 Left to right: Gary Gaudreau, Director and Secretary; Hastings County Warden Rodney Cooney; Town of Bancroft Acting Mayor Paul Jenkins; MP MIke Bossio; Pat Murdock, VP & Airport Manager; Kim Dunford, Director. The government of Canada provided matching funds through the Canada 150 Grant to make this renovation possible. MP Mike Bossio addressed the audience and presented the airport with a certificate congratulating us on our achievement. Town of Bancroft Acting Mayor Paul Jenkins addressed the audience and spoke of the importance of our airport and what it means to the residents of Bancroft and surrounding townships. Congratulations from MP Mike Bossio. Our federal MP for Hastings-Lennox and Addington. Below is a bit of our past found in the ceiling during renovations of the terminal building. 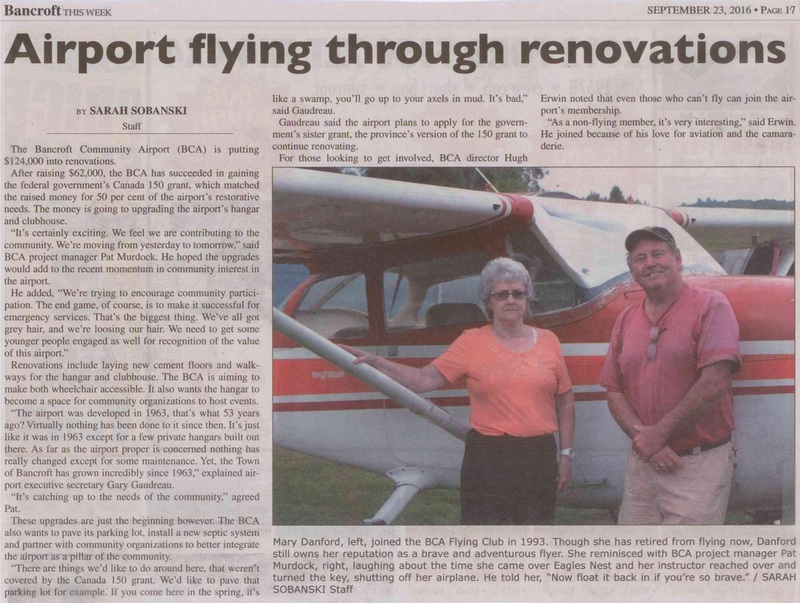 It was a paper banner made by students learning to fly in Bancroft in 1970 and 1971. The mice have been feasting on it for some time so a current day picture was used to fill in the missing part on the top RH corner. Thanks to the magic of Emagine Print & Consulting, Jim Potters talented crew were able to photograph, digitally enhance and preserve this little bit of our past. The reproduction will be hanging on the wall in the terminal building once renovations are complete. 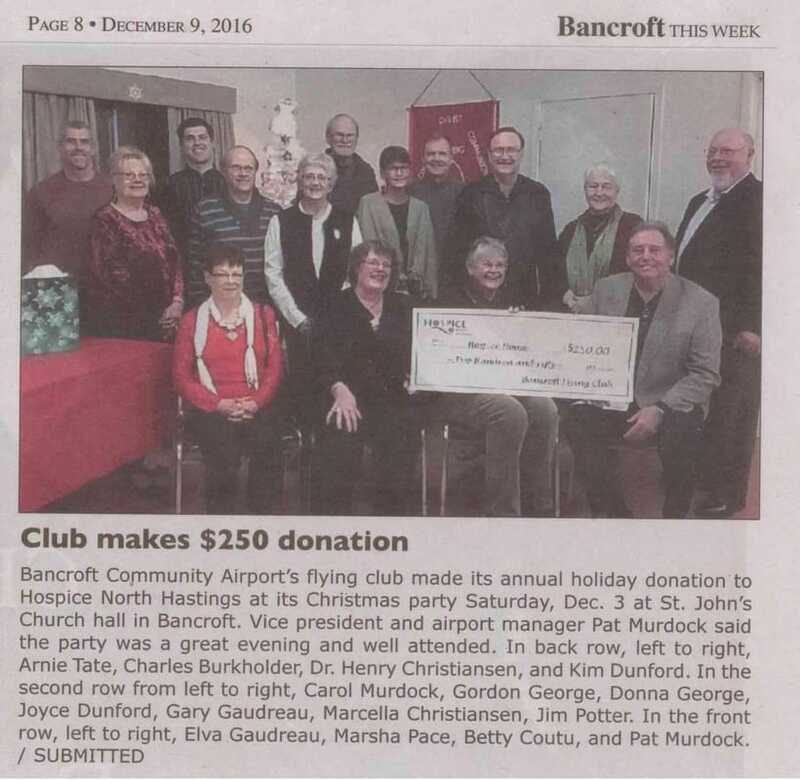 The Bancroft Flying Club, owner and operator of the Bancroft Community Airport donated $250.00 to Hospice North Hastings in recognition of the support given to the Airport by the local community and the Town of Bancroft. Receiving the donation for Hospice North Hastings was Director Betty Coutu. Receiving the donation for Hospice North Hastings was Coordinator Heather Brough. Pictured from left to right is Pat Murdock, VP Bancroft Flying Club, Lynn Davis, President, Bancroft Flying Club, Heather Brough, Coordinator Hospice North Hastings, Hugh Erwin, Director, Bancroft Flying Club and Chair of the Airport Development Committee, Gary Gaudreau, Secretary/Director, Bancroft Flying Club, Bernice Jenkins, Mayor of Bancroft and Jim Potter, Director, Bancroft Flying Club. 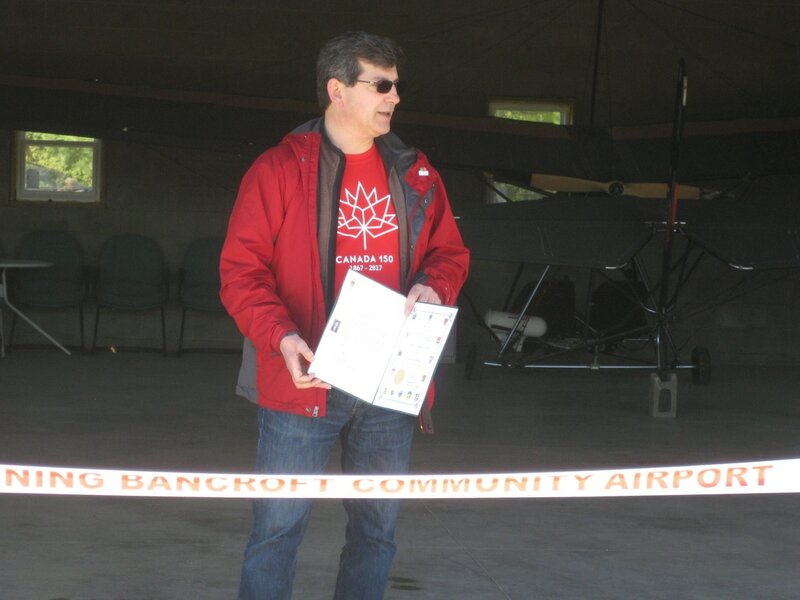 Bancroft Flying Club was advised this week that its application for federal government funding under the Canada 150 Community Infrastructure Program was approved. The purpose of this program is to support the rehabilitation, renovation and expansion of existing community infrastructure. It is also part of the federal government's activities to honour Canada's 150th anniversary of Confederation in 2017. Airports have traditionally not been considered part of Canada's infrastructure; however, through the considerable efforts of Daryl Kramp, Conservative MP for Prince Edward-Hastings, progress is being made to change that perception. 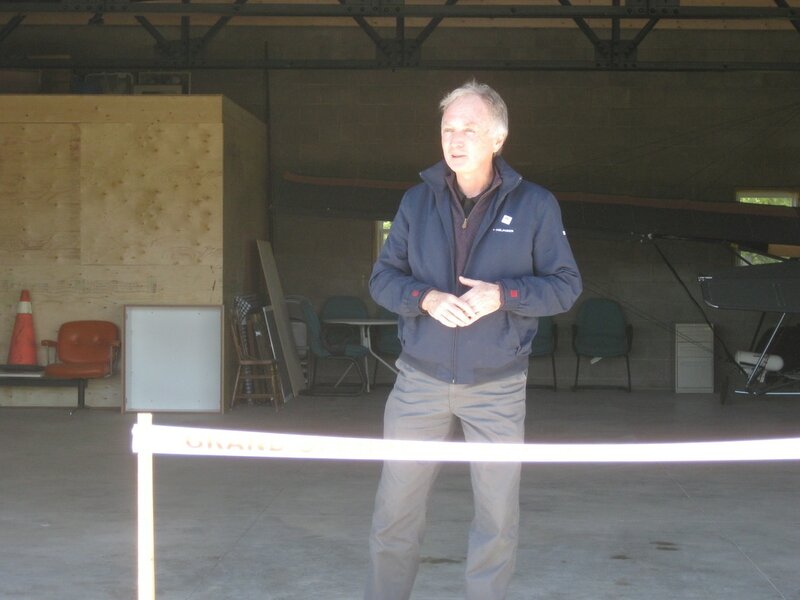 Daryl has been a leader in this cause at the federal level as he understands that community airports such as our Bancroft Community Airport not only provide the infrastructure for emergency services in the area but can be the catalyst for economic growth and job creation in the region. 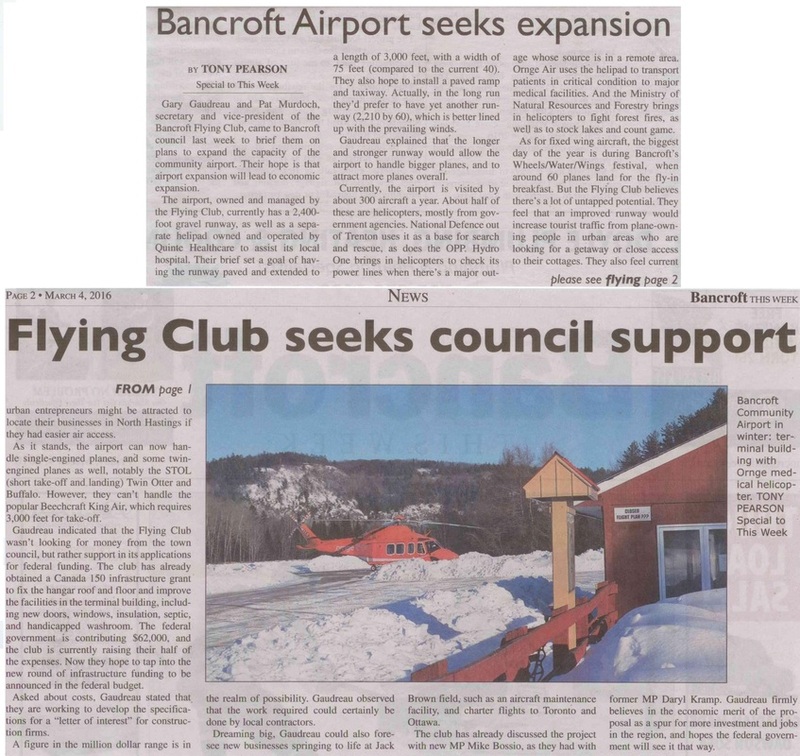 The Canada 150 Grant approved for the Bancroft Flying Club will cover 50% of the $124,000 in improvements slated for the Bancroft Community Airport over a two (2) year period. 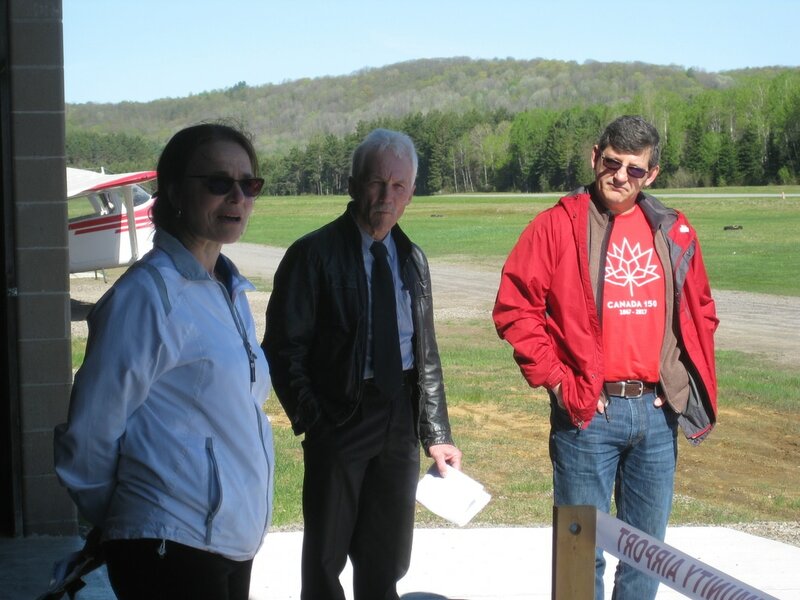 The announcement was made this date at the Bancroft Community Airport to BFC Executives shown in the photo to the right. From left to right Bancroft Flying Club Executives Pat Murdock, VP; Lynn Davis, President; Kim Dunford, Director; Gary Gaudreau, Director / Secretary; Hugh Erwin, Director and Chair of Airport Development Committee and Town of Bancroft Mayor Bernice Jenkins and MP Daryl Kramp. 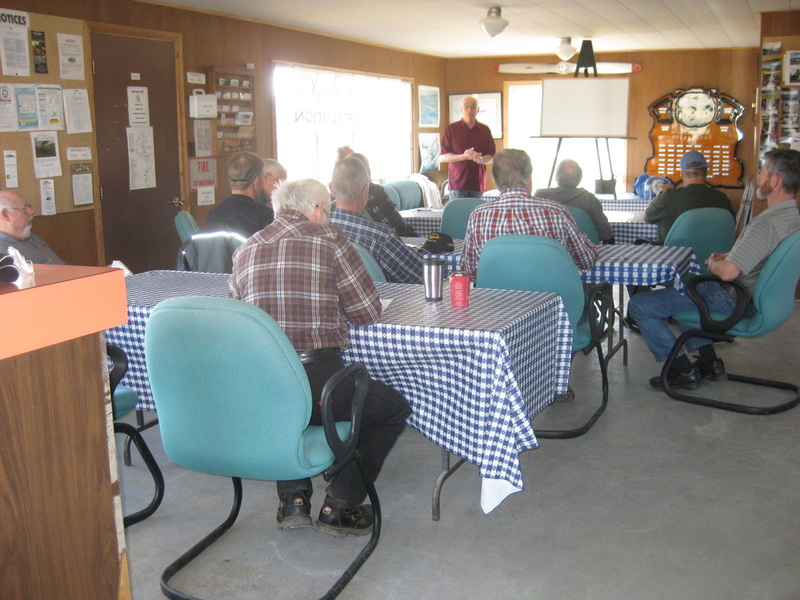 Bancroft Flying Club held its first annual spring Rust Remover in the air terminal building on Saturday May 2, 2015. 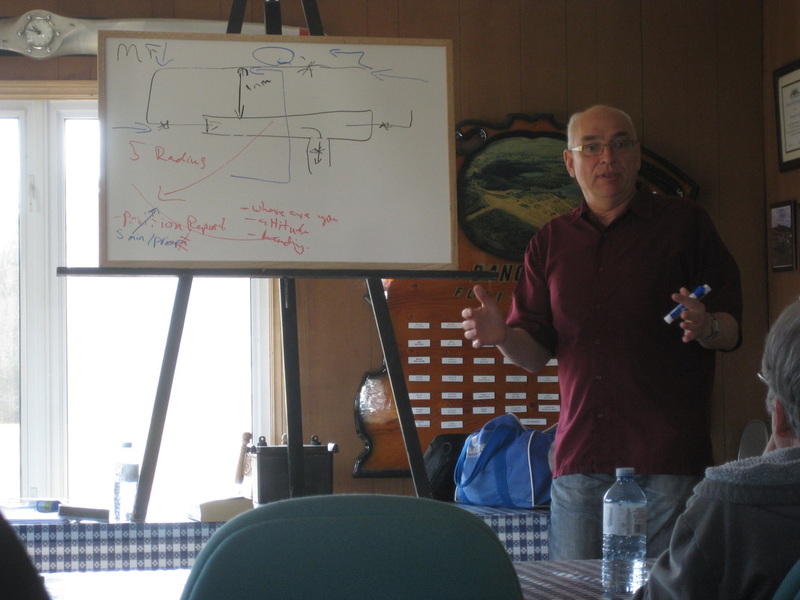 Conducting the review of aviation procedures and regulations was Tony Kaminskyj, Class I Instructor and Chief Flight Instructor with W.M Aeroflight in Peterborough. Tony tailored the subject matter to items of interest to the members in attendance and considerable time was spent on arrival and departure procedures around controlled and uncontrolled airports. The thirteen (13) members present broke for lunch provided courtesy of the Bancroft Flying Club and the afternoon session was culminated by handing out a Self-Paced Study Program questionnaire that members could take home and complete to qualify for their two (2) year recurrent training requirements of CAR 401.05(2)(a). Tony Kaminskyj, Class I Flight Instructor and Chief Flight Instructor with W.M. Aeroflight answered the many questions put forth by those in attendance. Members in attendance included, Lynn Davis, Pat Murdock, Gary Gaudreau, Bob Pearson, Kim Dunford, Jim Potter, Paul Wilcox, Gordon George, Bob Neil, Clint Snell, Dave Freymond, Jim Danyluck, Barry Redwood and a brief appearance by life time member Monty Jewell. Daryl Kramp, MP for Prince Edward Hastings, Todd Smith, MPP for Prince Edward Hastings and Mayor Bernice Jenkins and Hazel Lambe, Chief Accountability Officer for the Town of Bancroft met with Directors of the Bancroft Flying Club to receive a briefing and overview on the operation of the Bancroft Community Airport and the important role it plays in the region. January 22, 2015. Pictured left to right is Hugh Erwin, Director, BFC and Chair of the Airport Development Committee, Pat Murdock, V.P. BFC, Daryl Kramp, MP, Gary Gaudreau, Director & Secretary, BFC. Photo courtesy of Kim Bishop. April 17, 2015. Pictured left to right is Hugh Erwin, Director, BFC and Chair of the Airport Development Committee, Todd Smith, MPP, Pat Murdock, V.P. BFC, Jim Potter, Director, BFC and Gary Gaudreau Director & Secretary, BFC. May 27, 2015. Pictured left to right is Pat Murdock, V.P. BFC, Lynn Davis, President BFC, Bernice Jenkins, Mayor of Bancroft, Hazel Lambe, CAO Bancroft and Hugh Erwin, Director BFC and Chair of the Airport Development Committee. Photo taken by Gary Gaudreau Director & Secretary, BFC. The Annual Fly In Pancake Breakfast is held at the air terminal building on the first Sunday in July following the July 1st long weekend from 08:00 AM to 12:00 noon. Aircraft fly in from all across Ontario and the community is invited to come out and enjoy pancakes, sausage, orange juice, coffee and Real Maple Syrup from local producers. There is always a large turnout from the community and tourists interested in seeing the wide selection of aircraft that have arrived. The 2017 Fly In Pancake Breakfast was held on Sunday, July 9th. See our ﻿Photo Galler﻿y for pictures and details on this event. 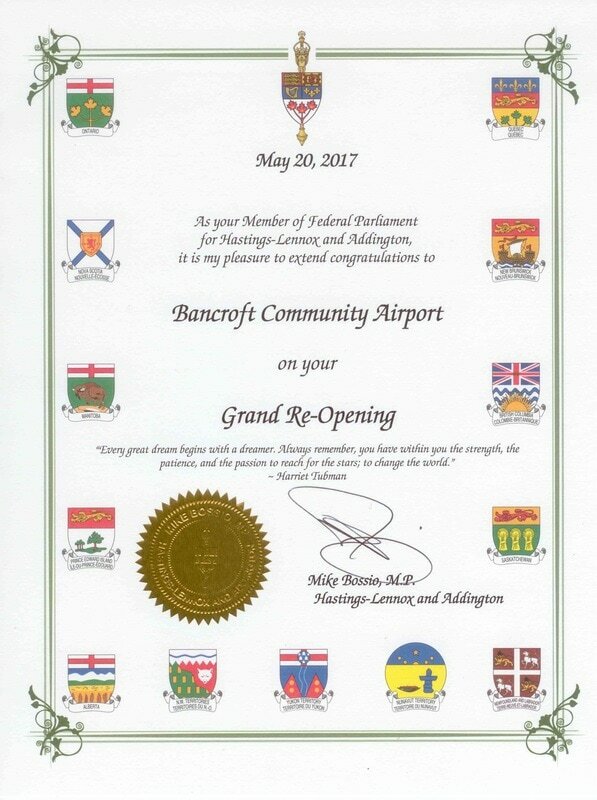 May 20, 2017: Bancroft Community Airport has Grande Re-Opening. Read article. 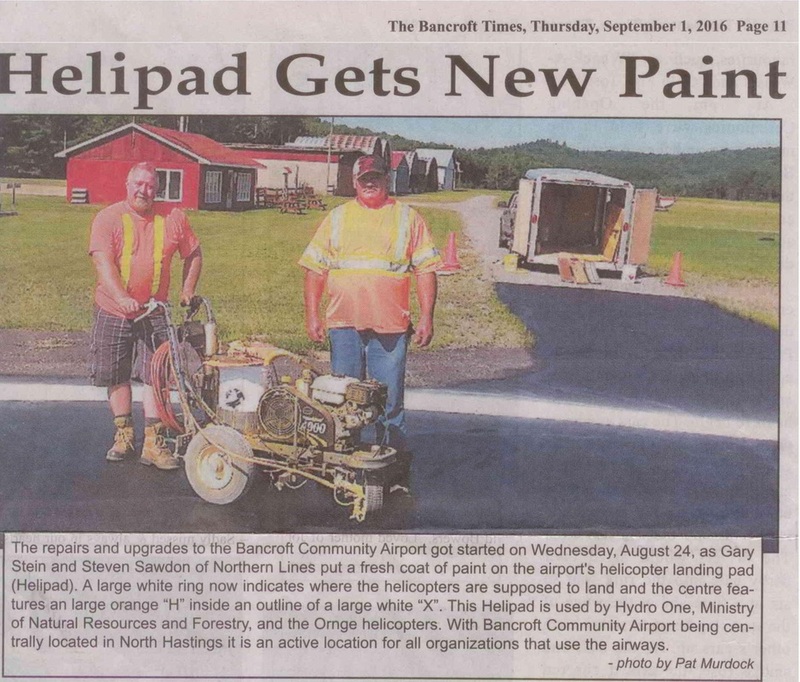 September 23, 2013: Bancroft Community Airport Upgrades Jet Fuel Dispensing System. Read article. 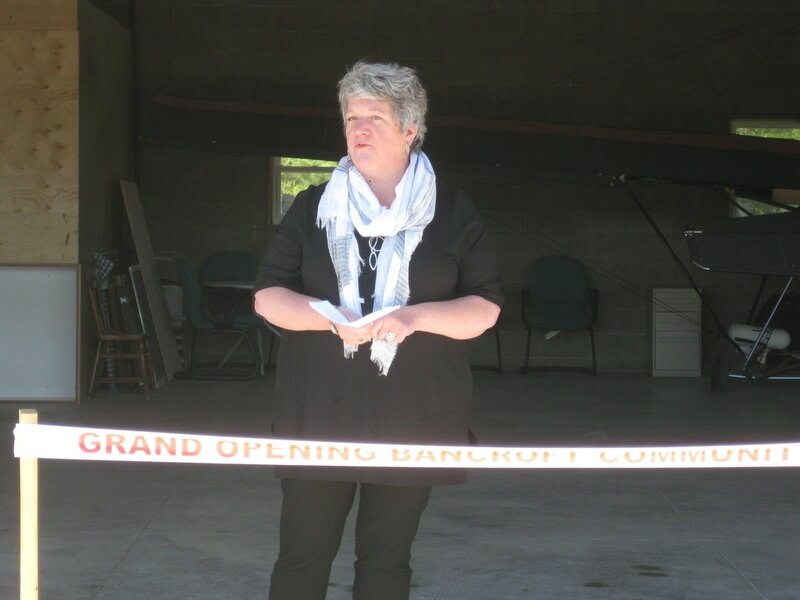 July 8, 2013: Bancroft Flying Club and the Bancroft Community Airport Celebrates 50 years. Read Article. Following are links to current aviation news, information and coming aviation events. Updates are made as soon as new information becomes available. Check this page daily for the latest in aviation news, information and events. Water: Can't live without it, can't fly with it! Watch this great video on how Rotax builds aircraft engines. COPA crosswind landings safety video now available.